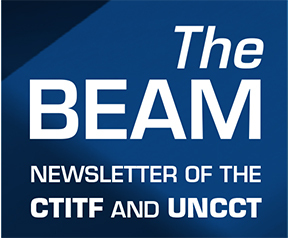 On 5 March 2019, the United Nations Office of Counter-Terrorism (UNOCT) and the North Atlantic Treaty Organization (NATO) signed a Memorandum of Understanding (MoU) launching a joint pilot project to prevent and counter chemical, biological, radiological and nuclear (CBRN) terrorism in Jordan. The objective of this joint project is to support Jordan’s CBRN preparedness and response capabilities, in accordance with the UN Global Counter-Terrorism Strategy, which calls for improved coordination in planning a response to a terrorist attack using CBRN weapons or materials. “This trilateral project sets a good example of cooperation between States and International and Regional Organizations, and it also reflects the urgency to raise the level of preparedness and response for the worst possible terrorist attacks whether it’s a Chemical, Biological, Radiological or Nuclear,” stated H.E. Ms. Sima Bahous, Permanent Representative of Jordan to the United Nations. “The possibility of non-state actors, including terrorists, acquiring lethal technologies and weapons is a challenge for international peace and security. My Office is committed to help Members States build and strengthen their capabilities with respect to this serious threat,” said Under-Secretary-General Voronkov, the head of the United Nations Office of Counter-Terrorism (UNOCT) and Executive Director of the United Nations Office Counter-Terrorism Centre (UNCCT). "This MoU represents the strong commitment of the United Nations and the North Atlantic Treaty Organization to working with the government Jordan,” he emphacized. This flagship project will be implemented by UNCCT and NATO with the support of the Jordan Armed Forces and the National Centre for Security and Crisis Management. It aims to (i) increase awareness of the capability gaps, (ii) enhance knowledge and understanding of response and (iii) improve capacity to address the identified gaps. The project includes the development of a National Response Plan and a field exercise. This is an important occasion, which brings together the UN, NATO and Jordan, as a valuable partner for both the UN and NATO, in this unique project,” Dr. Antonio Missiroli, Assistant Secretary General for NATO’s Emerging Security Challenges said during the signing ceremony. “This joint UN-NATO Project represents a milestone for the NATO-Jordan Defence Capacity Building Package, and in the strategic partnership between the UN and NATO. We are looking forward to seeing our joint efforts come to fruition over the next three years, as Jordan enhances its national resilience and preparedness to deal with different kinds of threats,” he added. 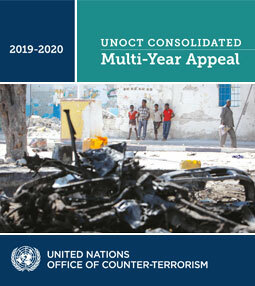 Through the United Nations Global Counter-Terrorism Coordination Compact, UNOCT will facilitate cooperation with relevant entities with specific expertise in this field, such as the International Atomic Energy Agency, INTERPOL, the Organization for the Prohibition of Chemical Weapons, the United Nations Office for Disarmament Affairs and the World Health Organization. Such a multi-agency coordinated action would combine efforts to ensure a comprehensive support and expert advice.